I feel that I have done nothing well. But I have done what I could. Most people who go into the work of “helping other people” don’t do it for the money. They do often expect to see success in exchange for their efforts. They expect to see life get better for those they are helping. That’s naïve, and people who continue doing the helping work know better, at least in the social work arena. The success stories are rare — and even more rarely seen by anyone trying to help. This is especially true working with people carrying the burden of drug addiction. 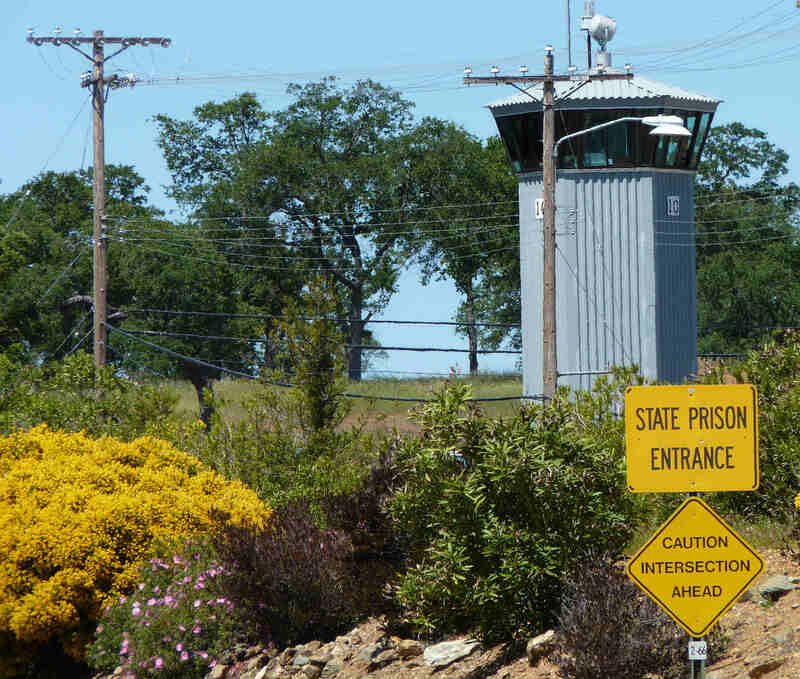 The people who manage the state prison system in California have finally made inmate location information available on the Web. Using their new Inmate Locator site you can search for people in the system. If they are in a California prison, results show what prison they are in, the address and how to get there. Given the state of Internet data today this hardly seems worth noting, but it is a small miracle here in the breakdown lane of California. For me, it means I can at least see if people I watched leave prison got sent back in. One of my first days as a case manager working in California prisons I got a written request from an inmate. She wanted me to tell her what prisons her husband and two children were in so she could write to them. After I settled from the astonishment of a whole family being in prison, (something sadly common I quickly learned) I went about trying to find out what prisons these folks might be in. Until a couple of weeks ago, the only way to do that was to call a phone number at the Sacramento headquarters set up for the purpose. At that time, if you called anytime during working hours the phone was constantly busy. As many times as I ever tried over the years, I never got an answer. Obviously, a lot of people were calling, and I suppose once in a while someone got through. I hope some got through. Hope can be a hard thing to come by in the dreary corridors of institutions. When advising families who were looking for inmates I suggested they call the number late at night (since it was supposedly a 24-hour line). A couple of years ago they changed the phone hours to an 8AM-to-5PM operation; instead of a busy signal you got a recorded message that would repeat for as many hours as you cared to stay on the line. I never, ever reached a person that way either. It was a disgrace, there’s no other word for it. Families were treated simply as an unwanted intrusion into the work of warehousing 170,000 people. For those who have the movie image of people going to prison and staying in one place for years on end, this locating thing may sound like a simple inconvenience – like finding the grocery stores and post office in a new town. The fact is, inmates are moved around like checkers on a game board. Out of the 160,000 people now in California prisons, around 120,000 will be released this year (and every year). Another 120,000 will take their place. Meanwhile, longer term inmates may be moved to other prisons for any number of reasons — because they merit a lower security level (or a higher security level) or because they dropped out of a gang and needed to be in a protective custody prison or because a staff person recognized them as someone they knew from the outside, etc. It’s nearly impossible to travel Interstate Highway 5 in California and not see prison system buses going up and down the road night and day. 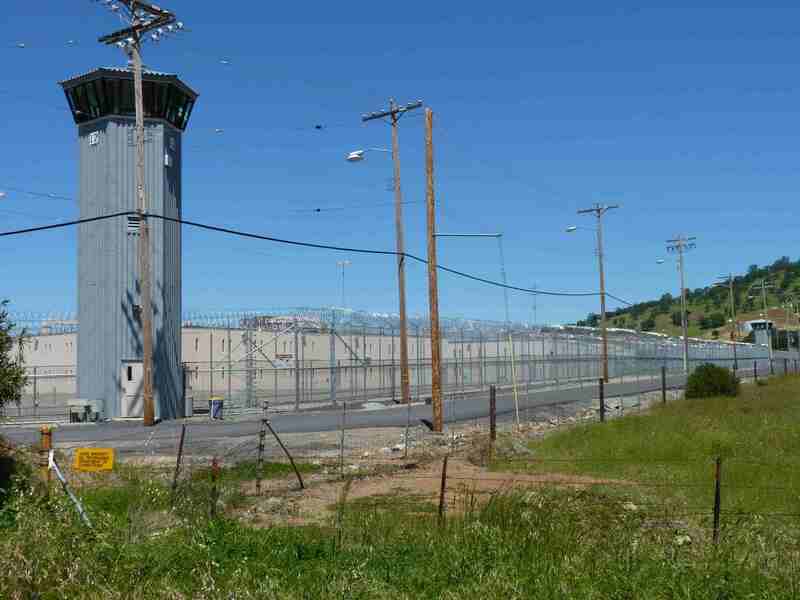 Guard towers, electrified fences and razor wire keep prisoners in -- and hope out. 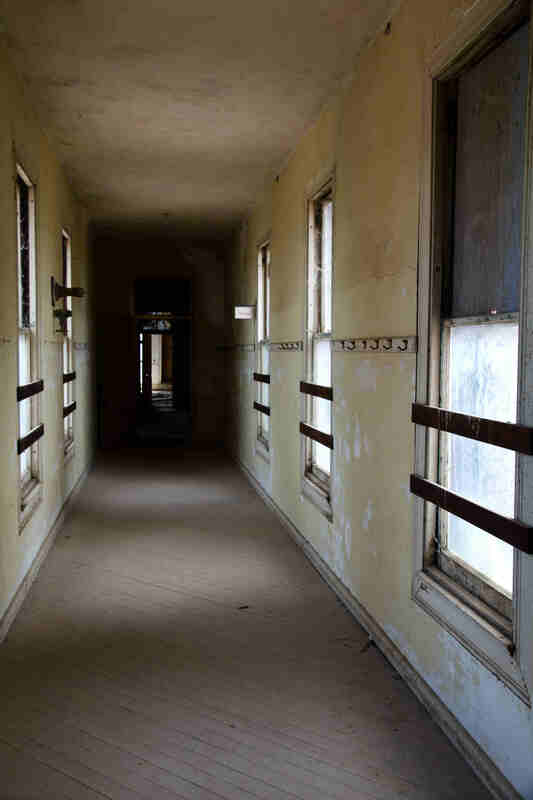 For the many inmates I watched exit prison, I rarely exercised the luxury of great expectation; the recidivism rate in the California system is around 70%. I never had a feeling I had done them much good, but as Dorothy Day said, I did “what I could.” A couple of times released inmates contacted me to say how they were doing; I was always grateful and glad to hear they were finding ways to stay out of prison (the most I would ever dare hope for). For the most part however, they went out the prison gates and into a void; I’d never know what happened. But now, the inmate locator at least gives me a clue. So far, I’ve looked up a couple dozen inmates I worked with in the prisons. While it’s surely not scientific (and would never meet the prison system’s “evidence-based” criteria for rehabilitation programs) I can report that almost none of these folks are currently back in the prisons. One inmate, incarcerated for burglarizing his own 12-step sponsor’s home, spent lots of time earnestly selling me on the hopelessness of his own addiction. Apparently, he’s been out, and succeeding, for quite a few years now. Another who told me his sobriety plan consisted of taking his granddaughter with him wherever he went – figuring the police wouldn’t stop him with a child – well he’s not back. Either that’s a better plan than I thought or else he’s found a way to cope with the straight world. One parolee spent the first few months after release living literally in a sleeping bag – well now a few years down the road, he’s not back in prison either. I always worked with an absolute faith that these folks wanted to stay out of prison, and that I might provide a little help in that quest – maybe even give them some hope. Success for them was something I never presumed, something I never dared expect to see. In a world that sometimes seems to be falling apart, I’m heartened to think some folks are working their way out of the depths of what can be profound miseries. And I can hope that perhaps my faith in them had some effect. Using the Christian Bible definition: “Faith is the substance of things hoped for, the evidence of things not seen.” Maybe this time the California prison system has given me a glimpse of the evidence. I’ll keep hoping so – but I’ll also be realistic in my expectations. A sprawling California prison. Image compliments of State of California.